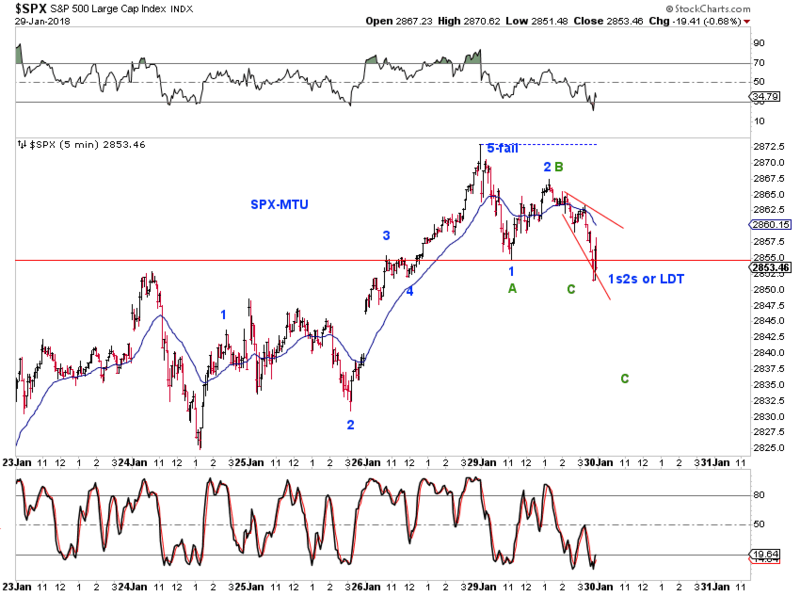 Easier to count the drop from the high as a three (blue) than a five (red) at the moment. 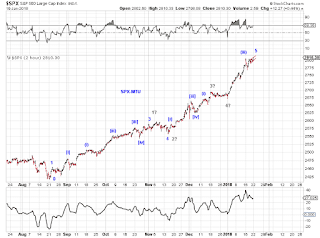 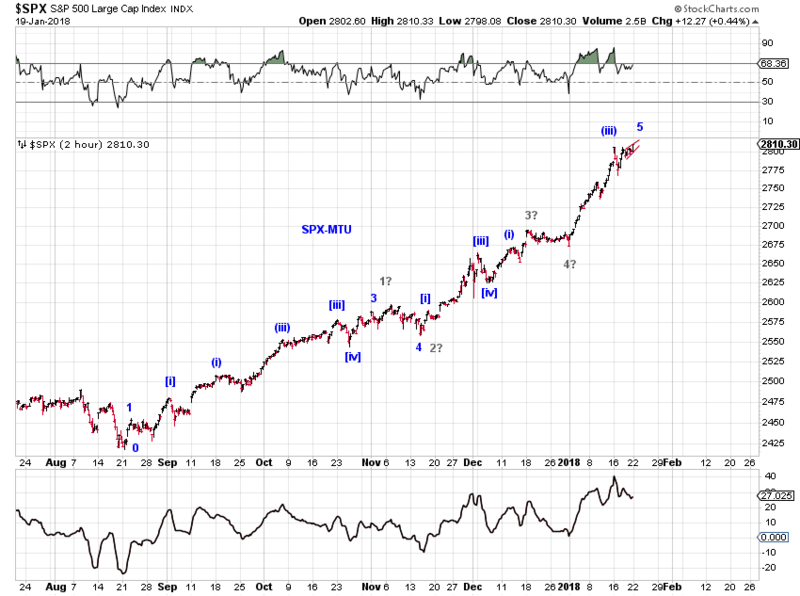 Note how the proposed wave 4 since 2016 divides the advance into Fib portions. 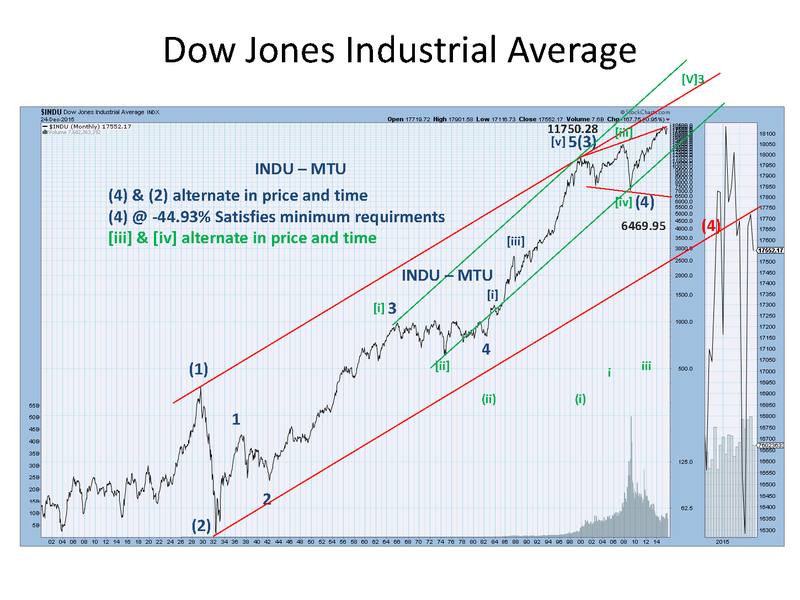 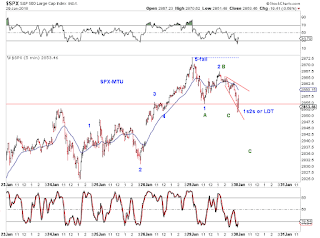 From the August 2017 low - Note how the proposed lower-degree wave 4 also divides the advance into Fib portions. 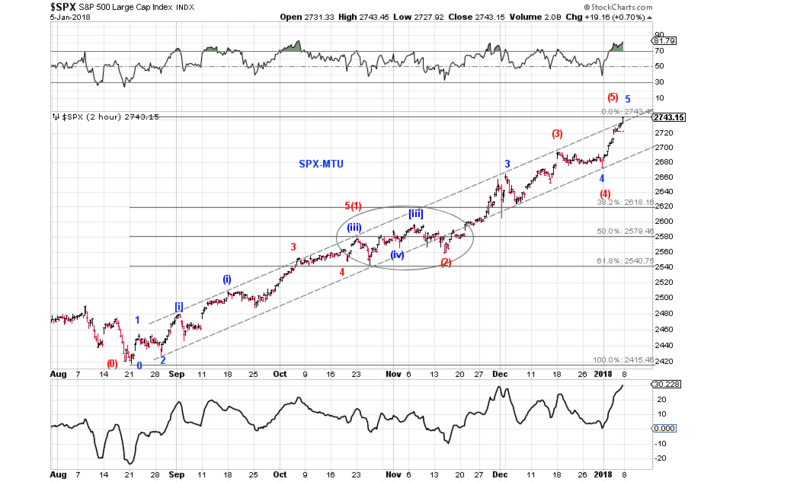 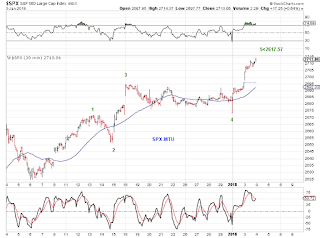 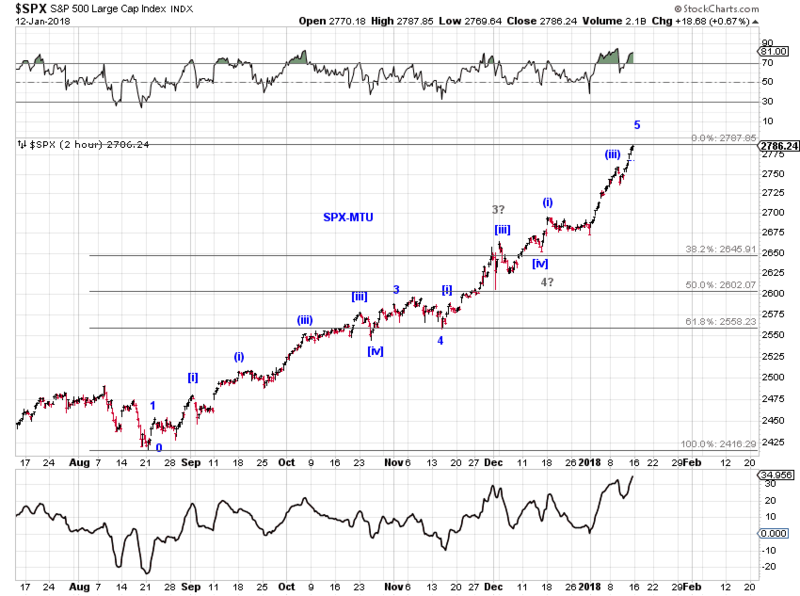 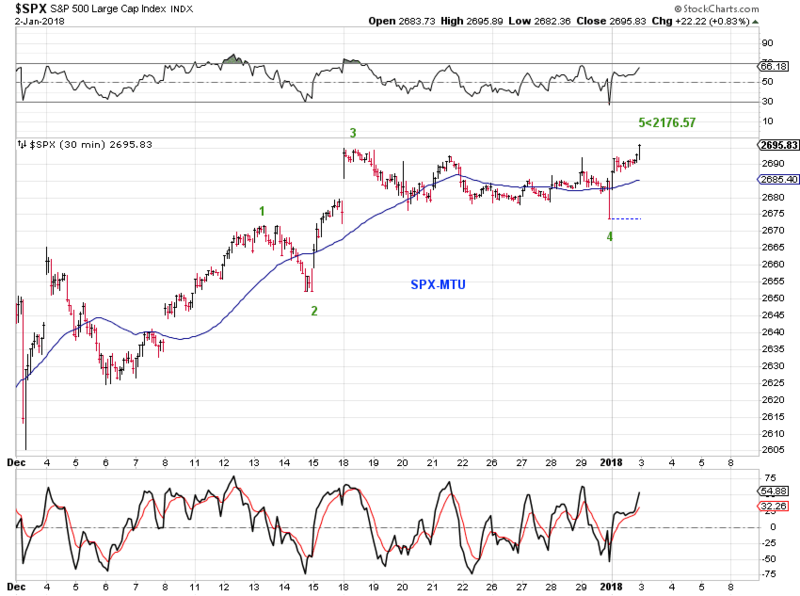 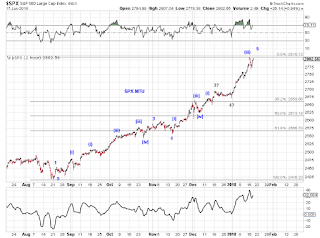 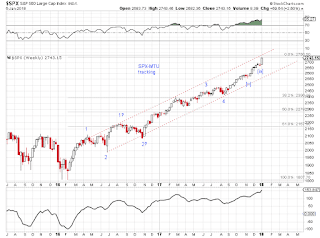 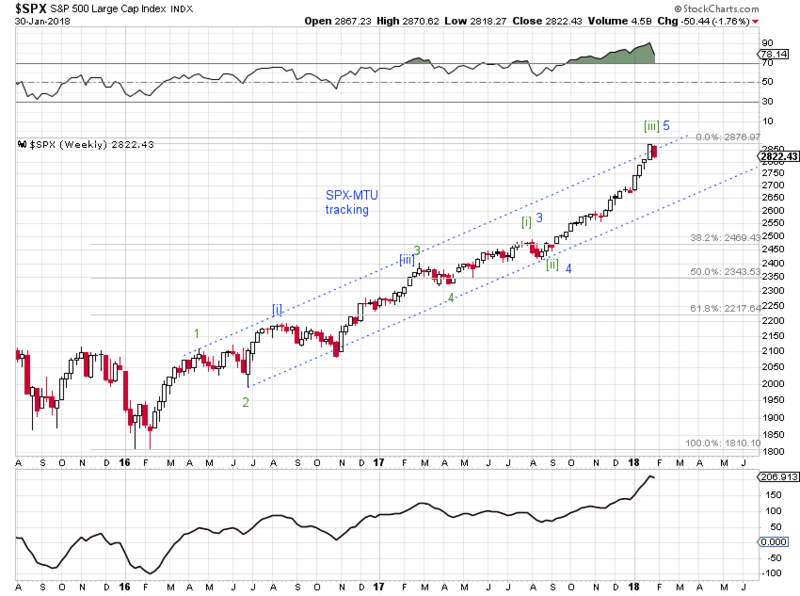 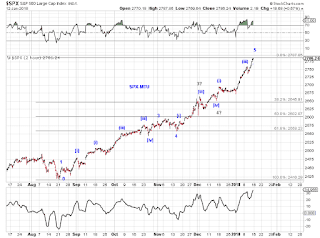 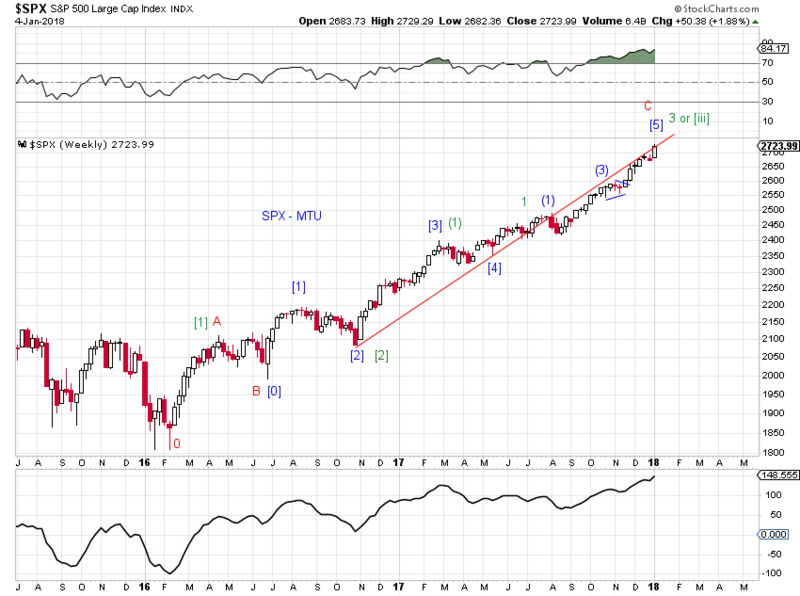 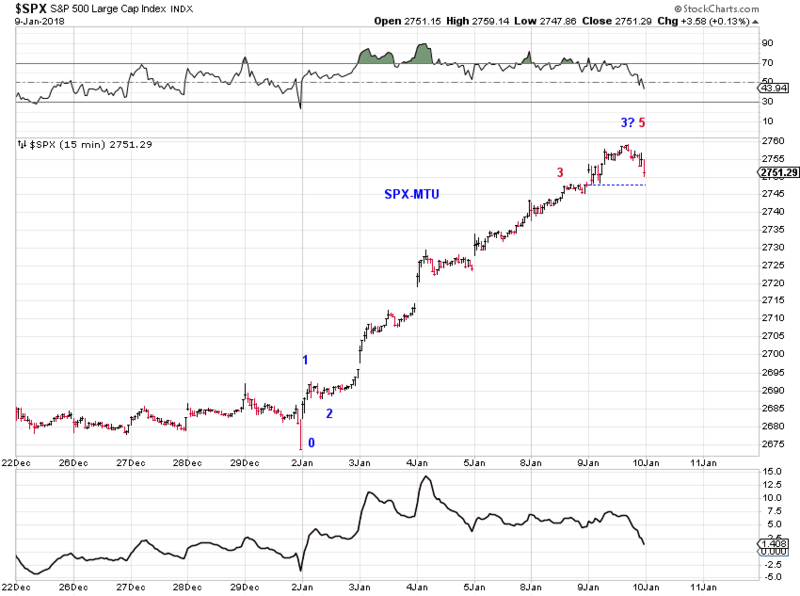 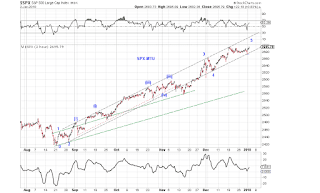 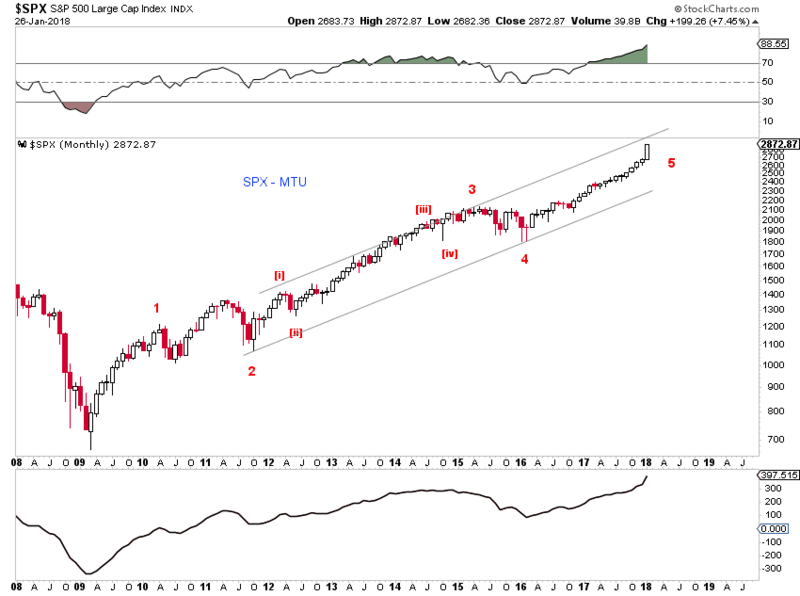 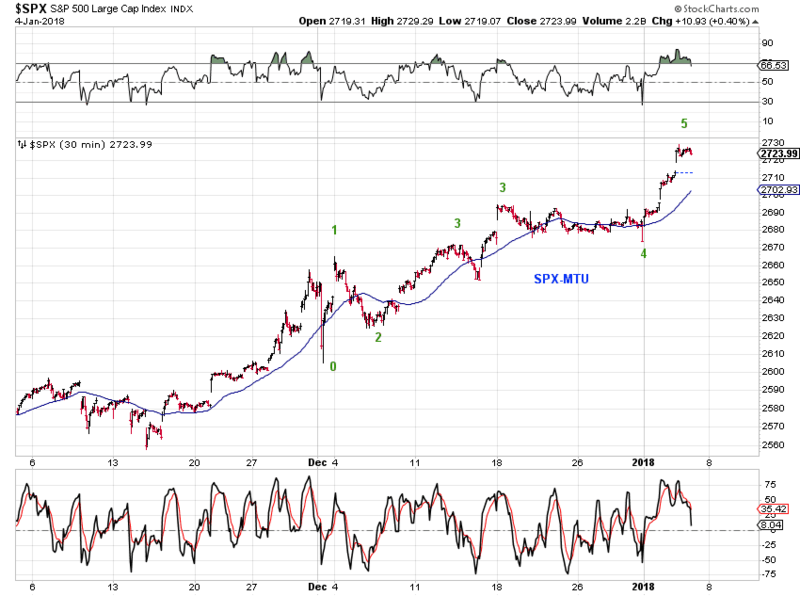 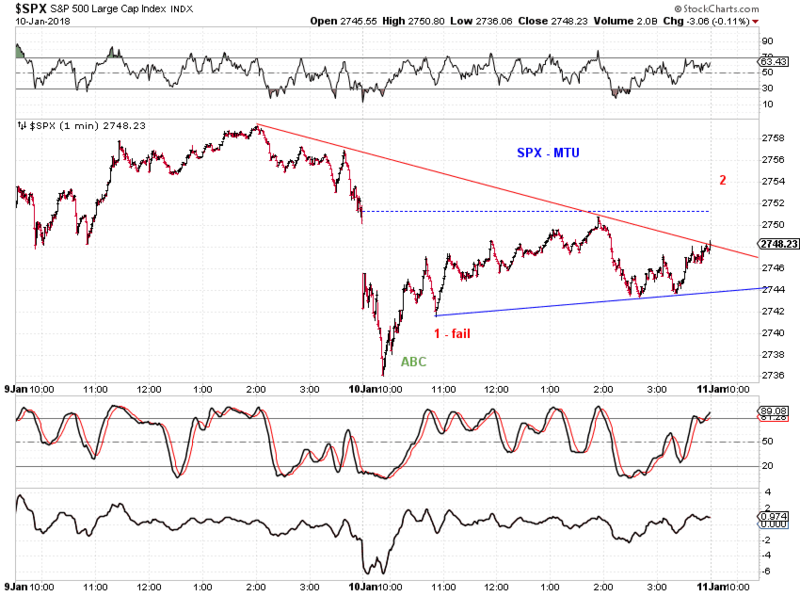 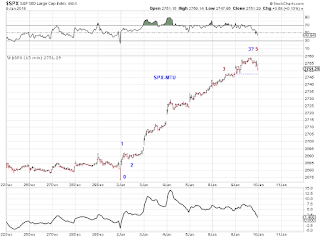 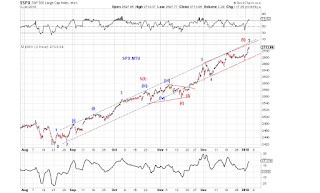 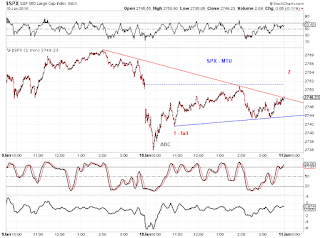 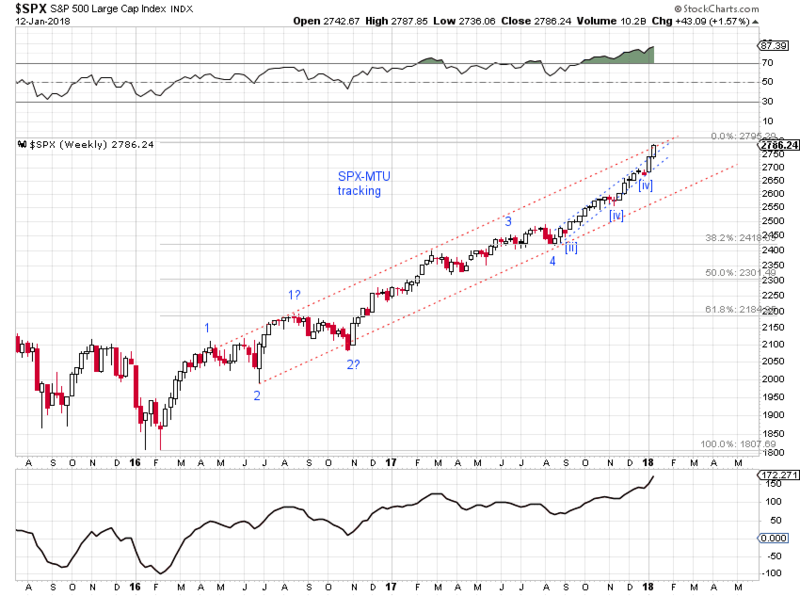 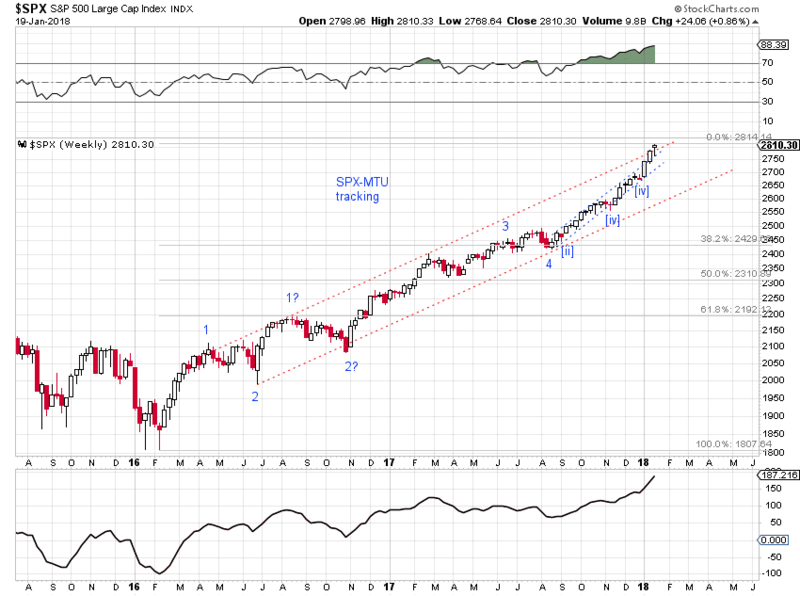 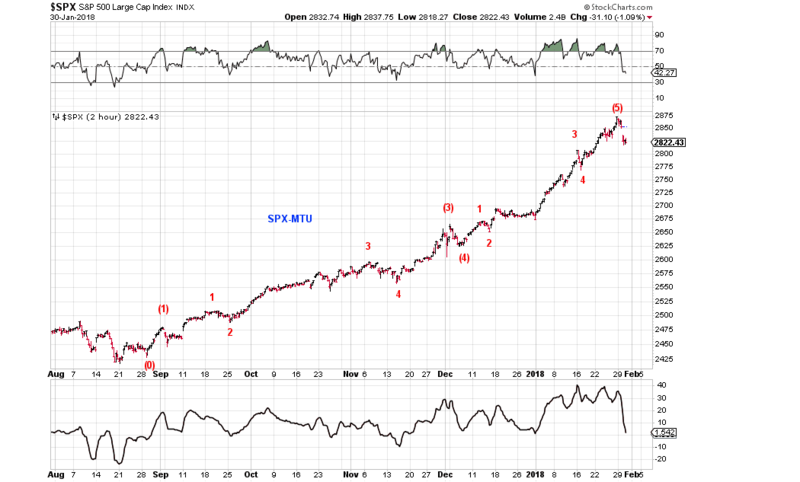 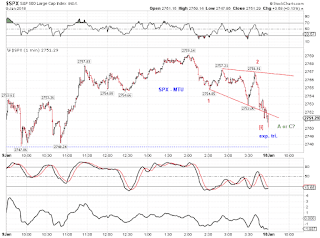 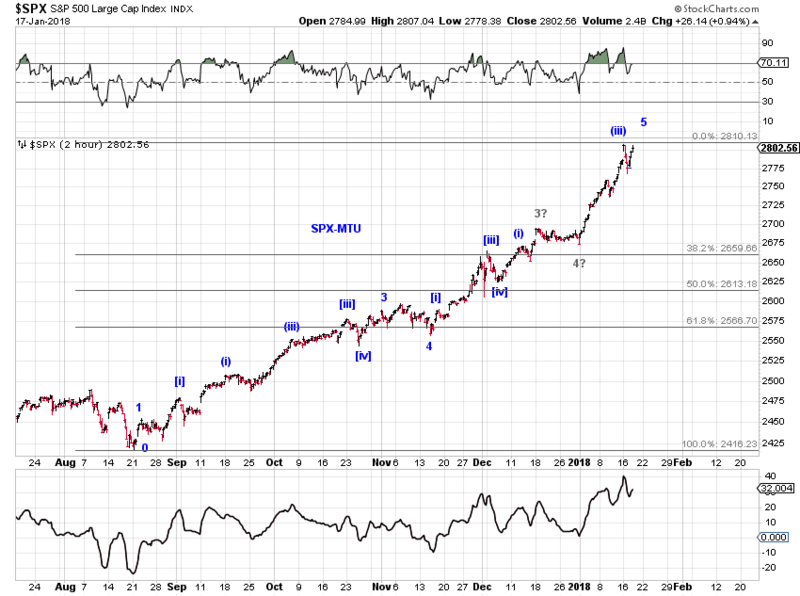 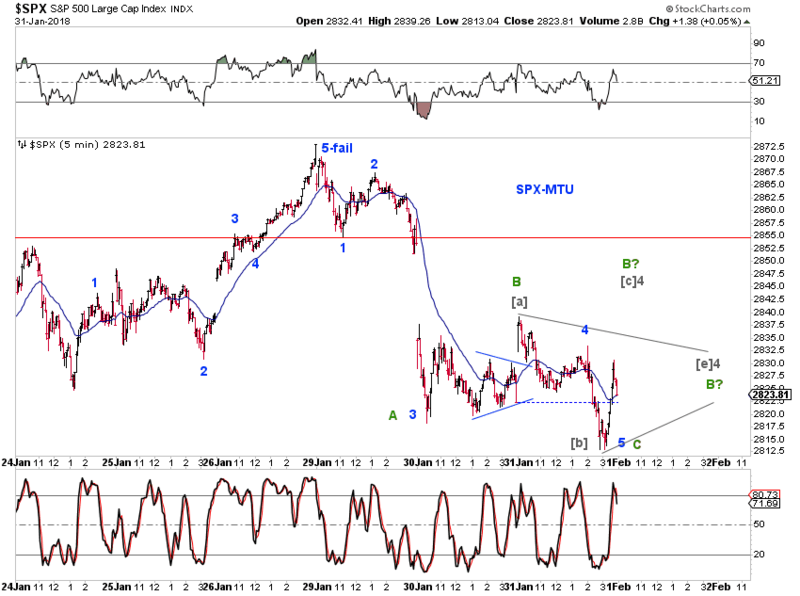 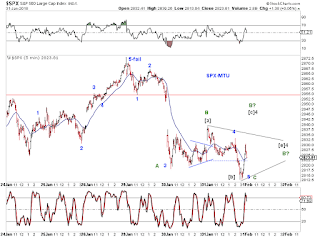 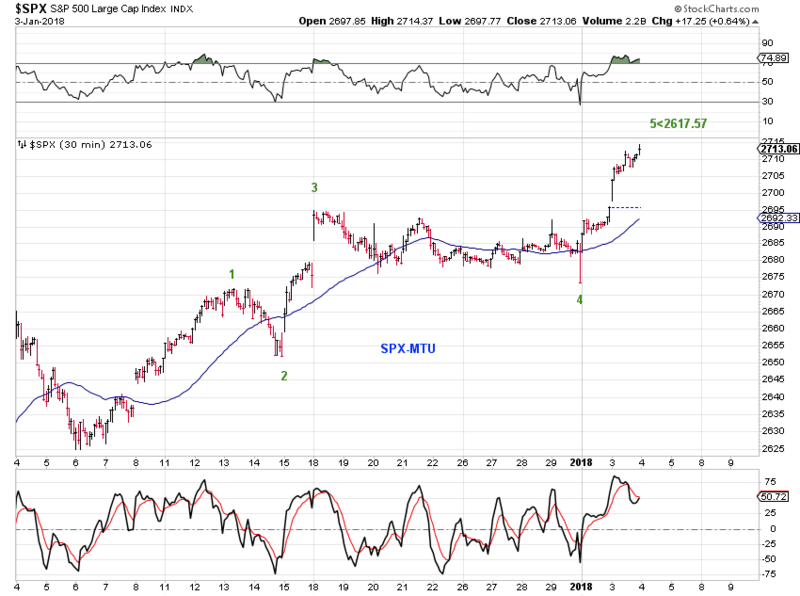 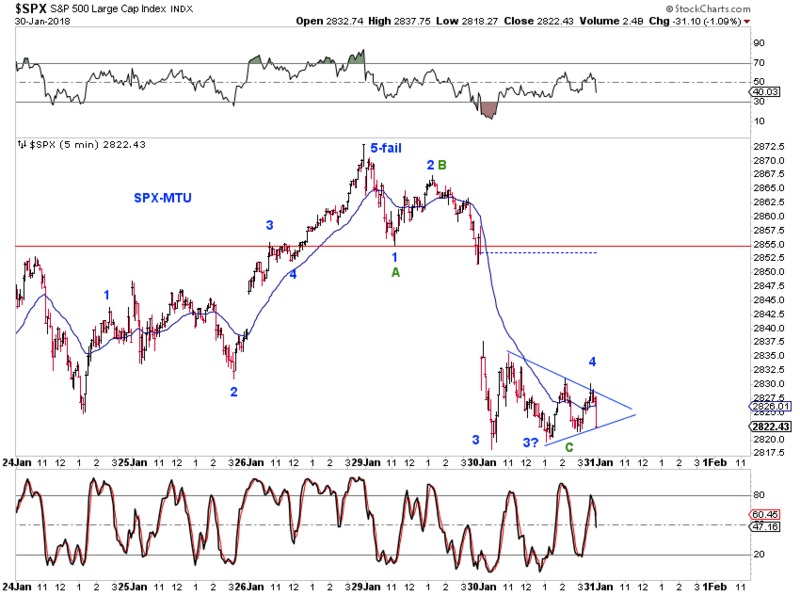 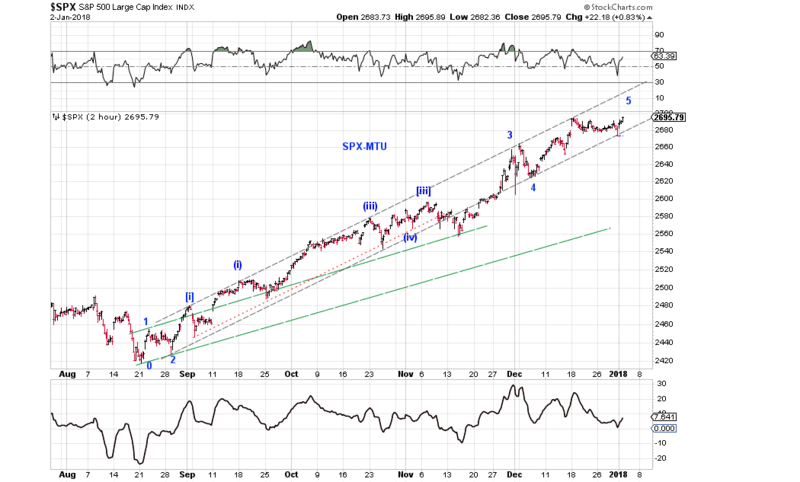 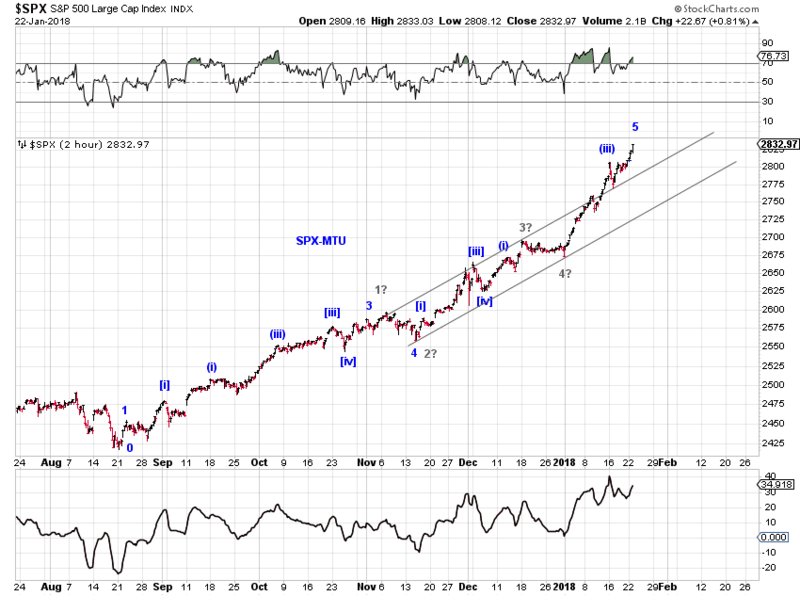 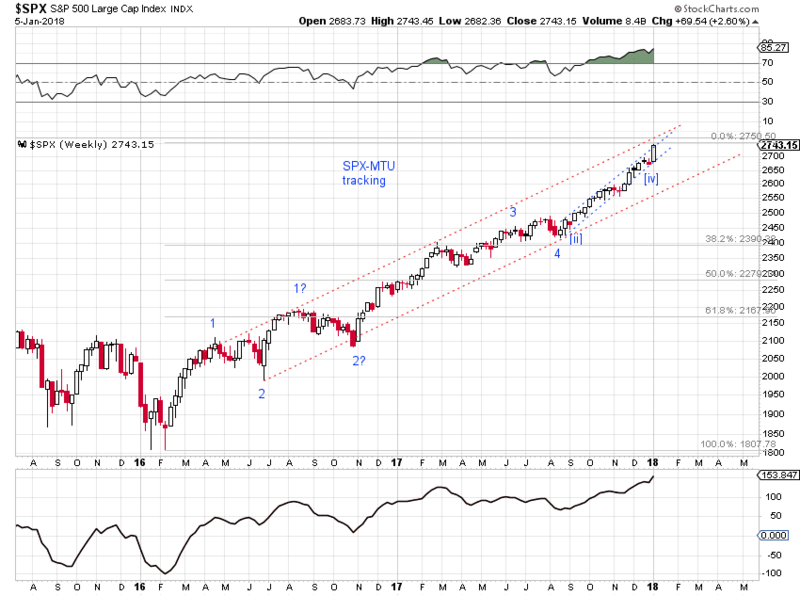 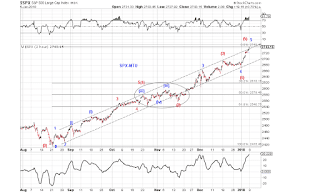 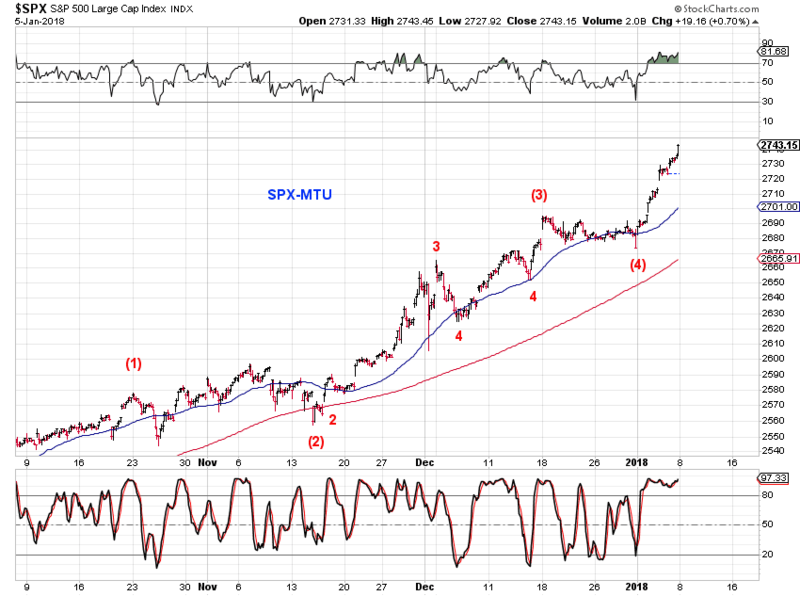 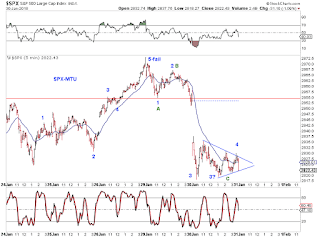 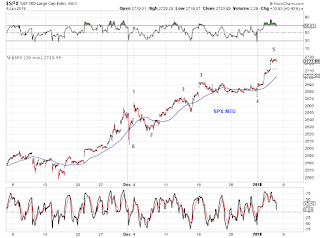 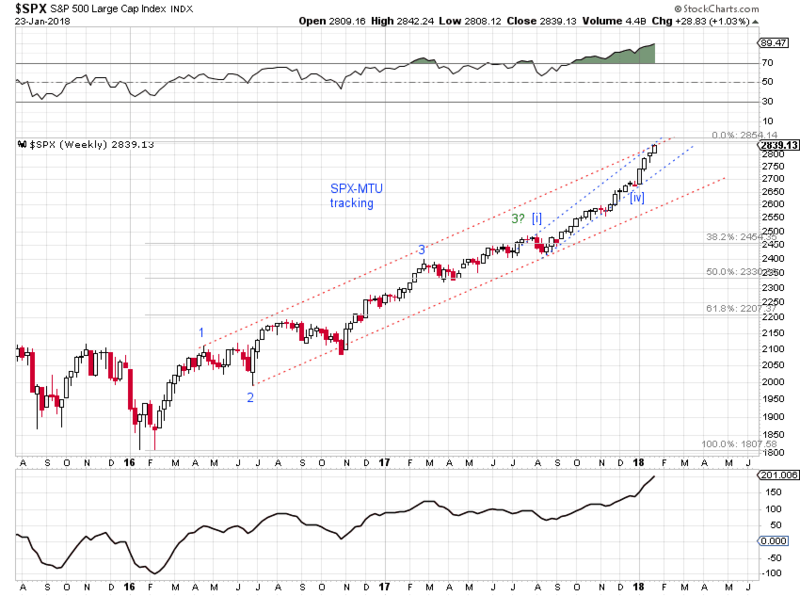 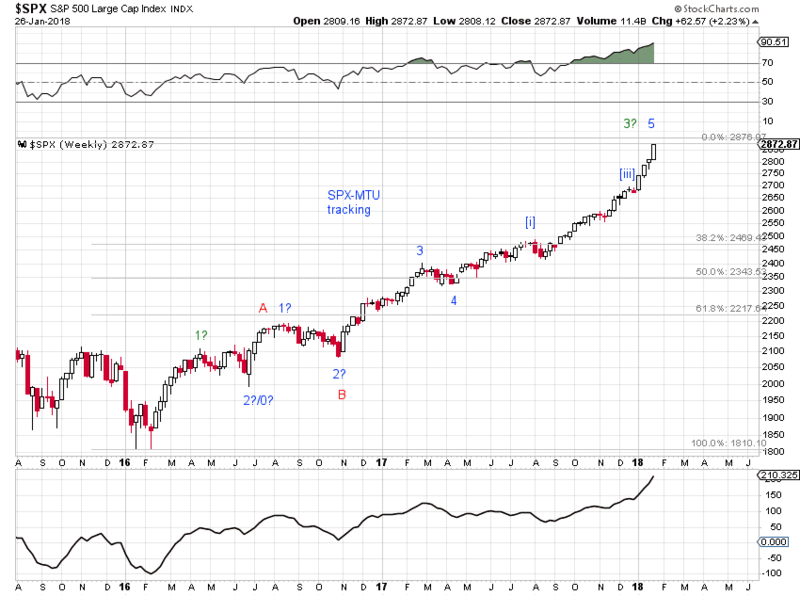 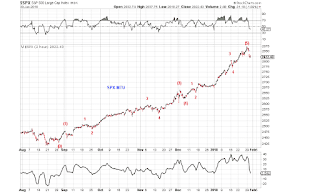 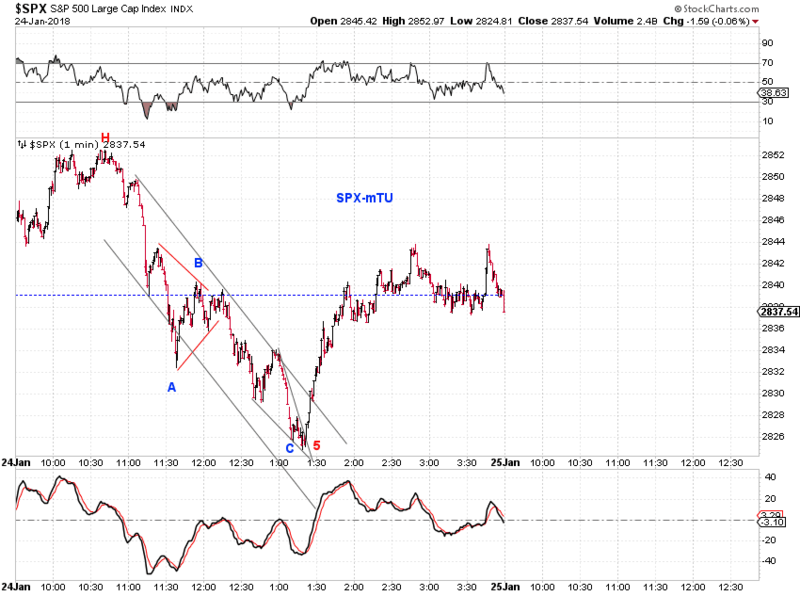 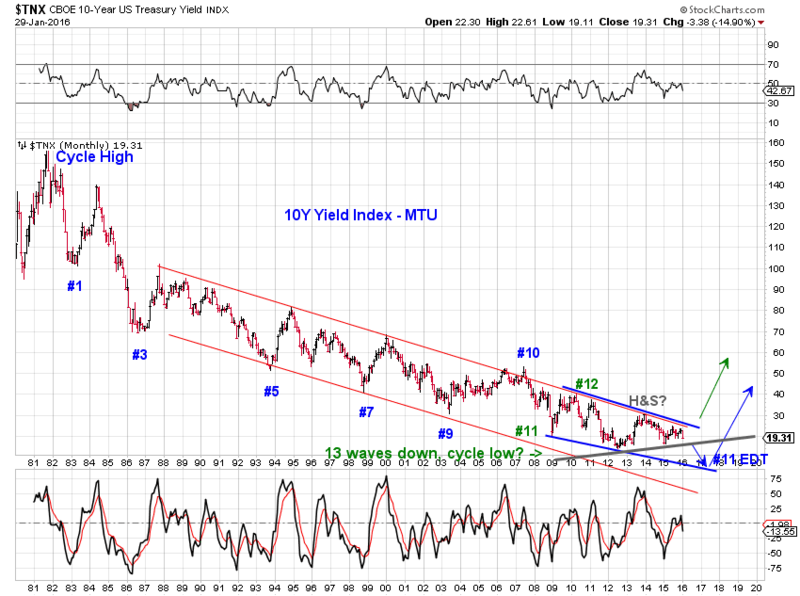 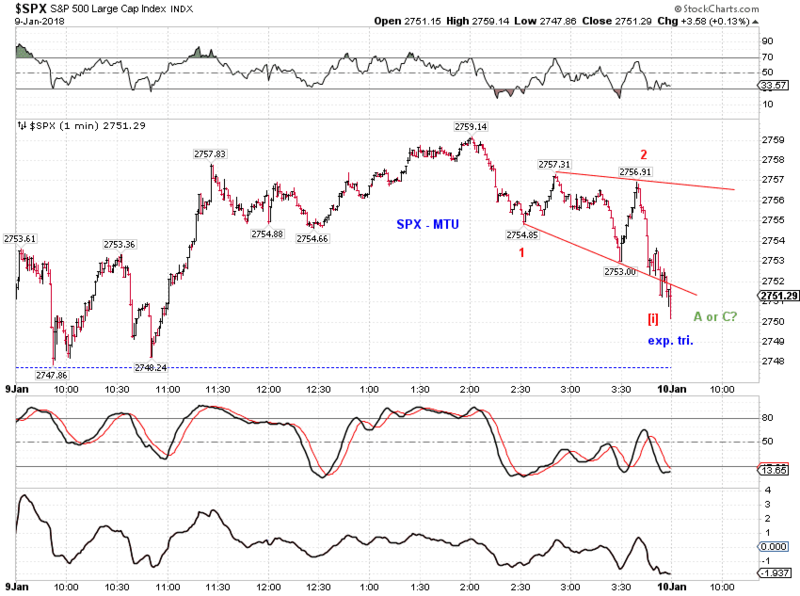 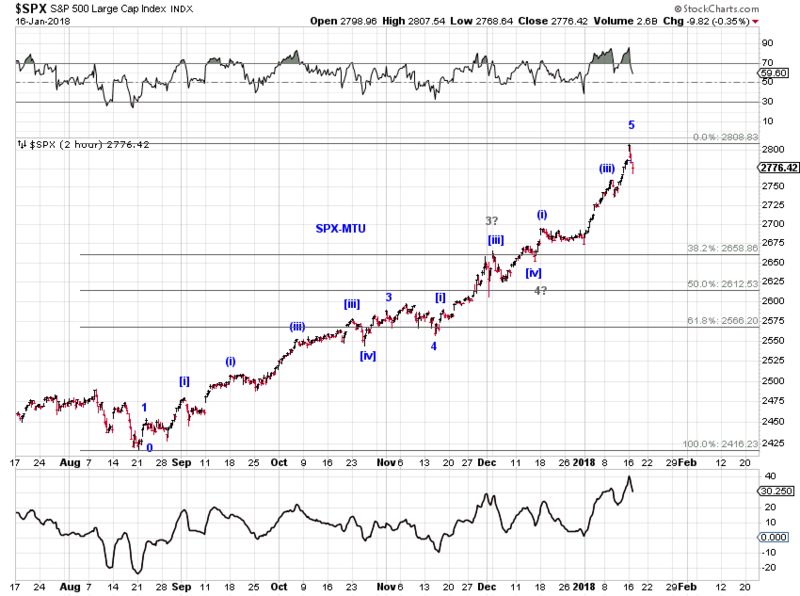 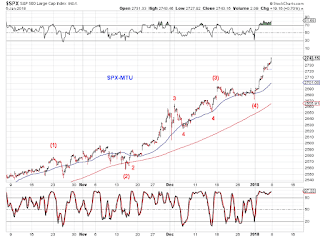 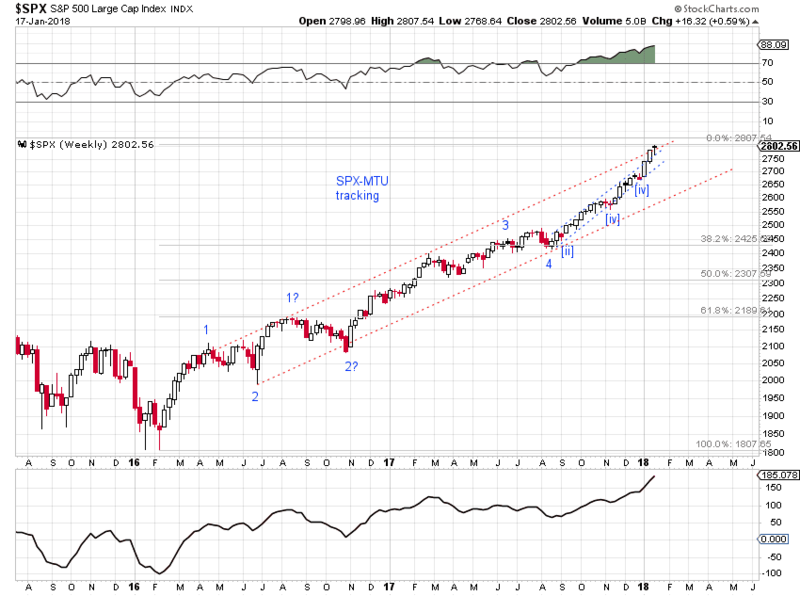 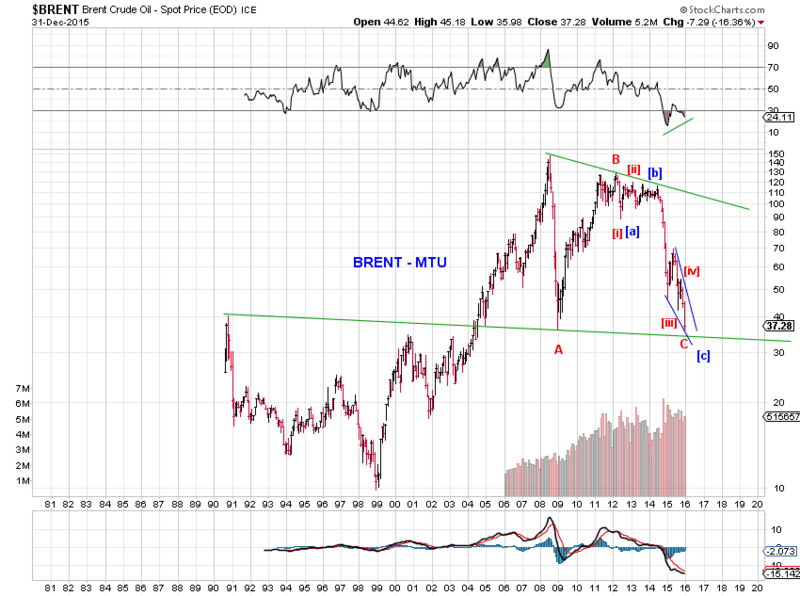 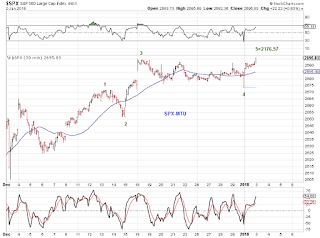 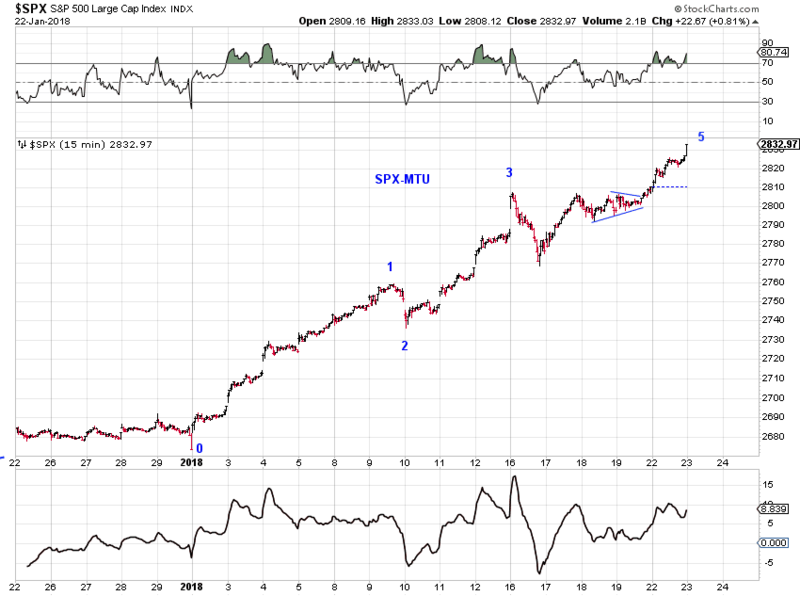 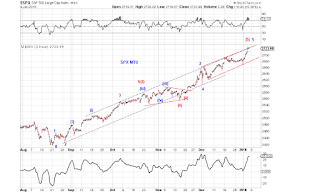 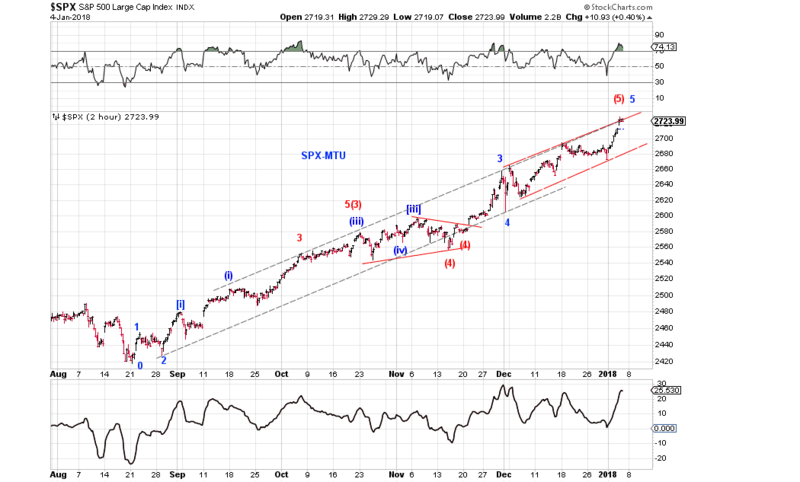 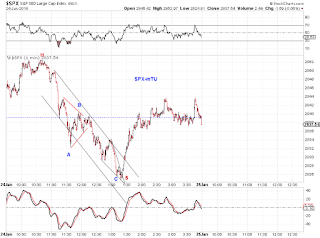 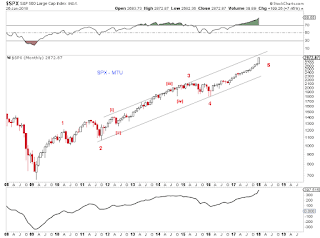 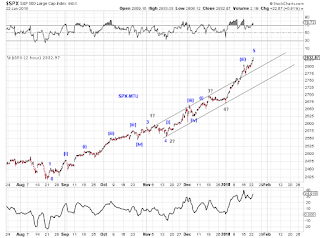 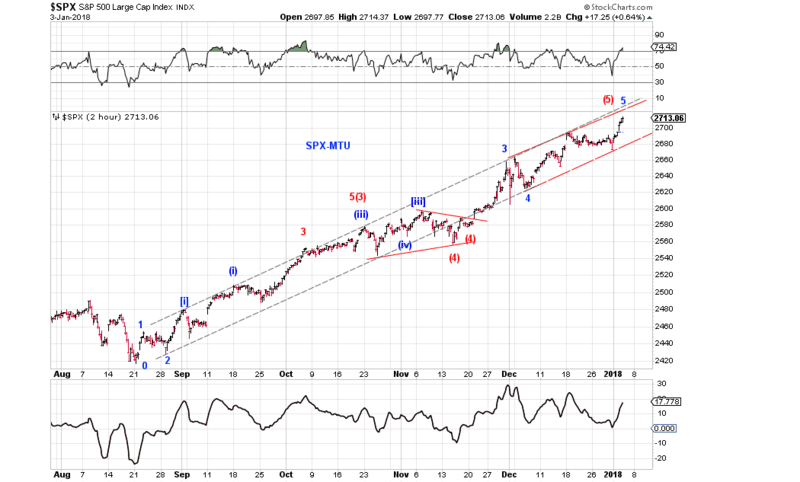 potential expanding diagonal triangle from the high in SPX - LDT or EDT? 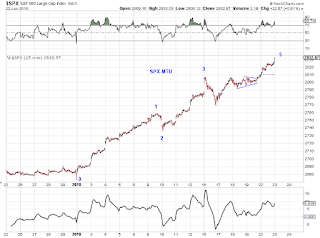 - not in INDU. 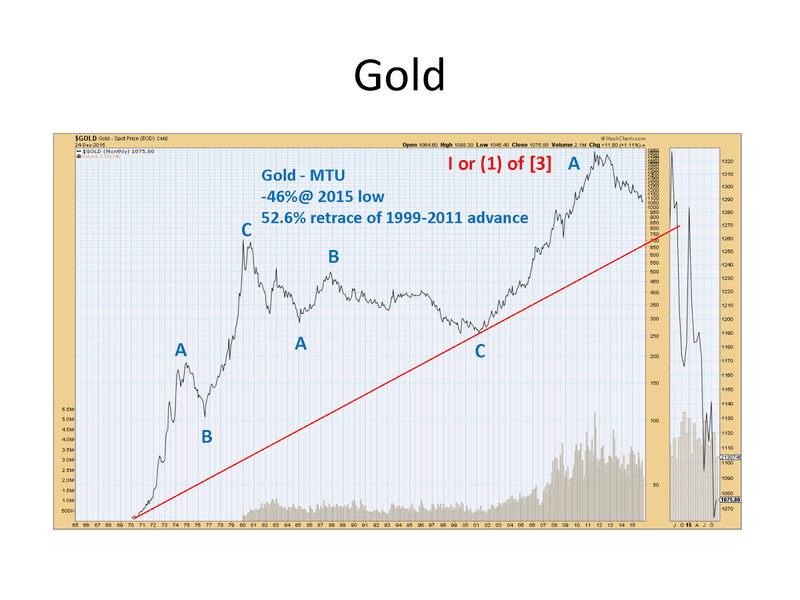 a series of 1s2s or just another ABC?